The car rental from the first to the last day. The transportation from the airport. Category a. includes basic insurance. All risk insurance surcharge direct payment to the rent a car company. 2 nights in Madrid, 1 night in Córdoba, 1 night in Granada, 2 nights in Sevilla, 1 night in Valencia, 2 night in Barcelona. Arrival at Madrid airport and then you can pick up the rental car at the terminal and drive to the hotel. In the afternoon we recommend visits to the city through the most important avenues, squares, and buildings. Through the ages the city grew from the old districts of the Habsburgs and the Bourbons until the current Madrid: Gran Via, Plaza of Spain, Ciudad Universitaria, Moncloa, Austrias, main street, Puerta del Sol, Puerta de Alcalá to Plaza de Toros, square, paseo de la Castellana to the stadium of Real Madrid, plaza de Castilla The Cibeles fountain... Accommodation. Have breakfast at the hotel and the rest of the day to continue visiting the city or visit some of the interesting cities like Ávila and Segovia. Have breakfast in the hotel and leave for Toledo, one of the most beautiful cities in Spain, located 70 kilometers from Madrid. Here we recommend you to make a stop to walk through and see the city, strolling down to the Plaza del Ayuntamiento then you can see the façade of the Cathedral Primada of flamboyant Gothic style, the old courthouse, and the City Hall; We will walk through the narrow streets of the old Jewish quarter enter the Church of Santo Tomé to admire the monumental painting " El entierro del Conde Orgaz ", the most outstanding work of El Greco; continuing to la Sinagoga de Santa María la Blanca – the witness of the blending of "Three cultures", the monastery of San Juan de los Reyes, and Victorio Macho Museum, with beautiful views over the Tagus River. After all continue the trip from Andalusia to Cordoba. Arrival and settle down at the hotel. Breakfast at the hotel and we advise you before leaving the city take a walk through the Jewish quarter and visit its impressive mosque/Cathedral. Continue to Seville and spend the night there. After breakfast at the hotel, there will be a whole day to explore this beautiful city. During your journey, you will find the beautiful monuments such as the University of Seville, Triana and the monastery of La Cartuja bridge, arrive at the wall built under the Empire of the footballer Julio César and visit the Basilica de la Macarena, the beautiful Virgin of Seville. Don't forget to discover the neighborhood of Santa Cruz, where our senses remain fascinated by the beauty of its streets, patios, and flowers. The Cathedral of Seville, the largest gothic cathedral in the world, where you can also enjoy spectacular views of the city from which is today perhaps the symbol of the capital of Andalusia, La Giralda. We recommend the evening meet any of the "Flamenco Tablaos" to enjoy the music and Spanish dance. After breakfast at the hotel, take the departure to Granada in the morning that will take us two and a half hours. Arrival at Granada and you can settle down at the hotel that was selected before. In the evening, it’s recommendable to take a visit to the Alhambra and the Generalife, from which the construction was started by the founder of the Nasrid dynasty Mohammed Ibn Alhamar in the 13th century on the Red Hill overlooking Granada. First, the Alcazaba was built and afterward the Royal Palace and the Medina or Alhambra, residence of the courtiers. Later, del Emperador Carlos V ordered the construction of a Palace at the same venue. And we will visit: The Alcazaba, the Mexuar Palace, the Serralo, El Patio de los Arrayanes, the room of the boat, the Hall of the ambassadors, the Peinador de la Reina, the Patio de Los Leones, the Sla of the Abencerrajes, of tragic legends, the Royal Baths, gardens Partal and the Palace of Carlos V. accommodation at the selected hotel. Including breakfast and day-trip towards the Spanish Levante. Arrive and accommodate at the hotel. After breakfast at the hotel you will have a free morning to get to know the city of Valencia: we advise you, Plaza de la Reina, Cathedral (exterior), Plaza de la Virgen, Plaza Redonda, Plaza of the Patriarch, facade of the Palace of the Marqués de Dos Aguas, Town Hall Square, market and Central market. We will take off to Barcelona at a suitable time. Arrive and accommodate in Barcelona. Have breakfast at the hotel and as arranged before, you are going to explore the city. 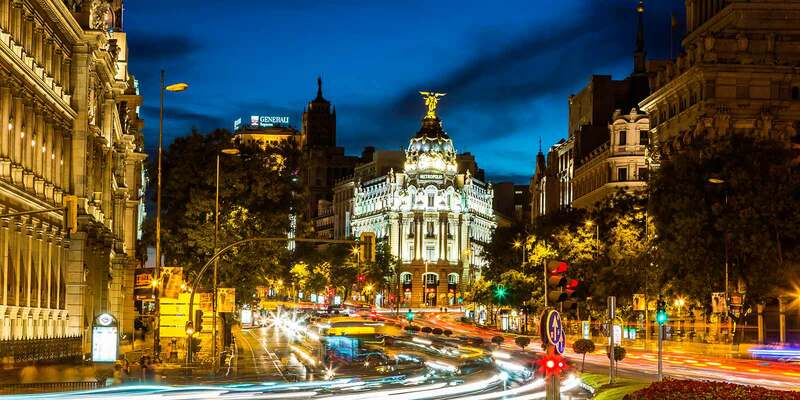 Highlights: In Barcelona history and traditions destination and full of ultra fashion, the latest trend of culinary, cultural and artistic. To have an intimacy and breathing both sides of Barcelona, Cali4Travel offers you a ride that starts at the historic visiting places such as Via Laietana, the Cathedral, and its cloister, the Barrio Gothic and Plaça St. Jaume. After this dive in of the traditional Barcelona, we would like to show you another side of the city. With the celebration of the Barcelona Olympic Games opened at the coastline and it is invigorated economically and socially. And what better way to immerse us in the era of change that visit the village and the Olympic port, then go right up to Montjuic to visit the Olympic Stadium of Lluís Companys, the Palau St. Jordi and the Calatrava Tower. Finally, we will visit the Poble Espanyol, a selection of typical buildings of all Spain, hosting a sample of crafts in our country. To continue getting to know the city, we propose the other great interesting part of the city. 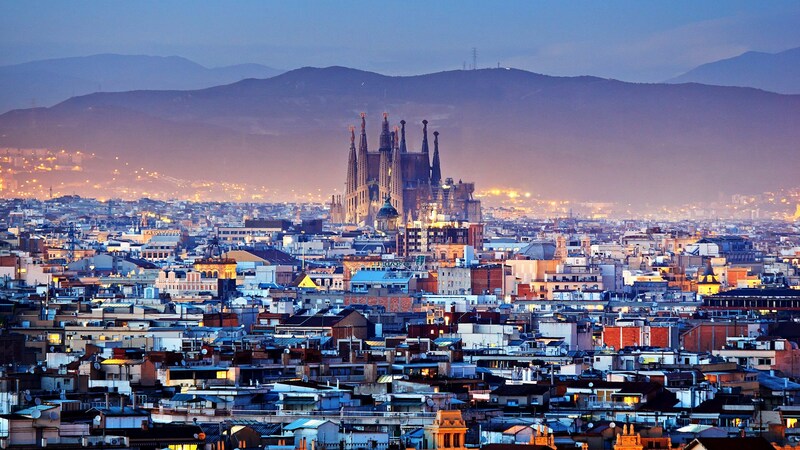 Barcelona is known as the capital of modernism, where lived and worked famous architect Antonio Gaudí. We will contemplate his most emblematic works such as the Casa Mila, also known as 'La Pedrera', and Casa Batlló in our tour of Passeig de Gràcia. Then we will visit the Park Güell, a large garden in which genius insisted on achieving a seamless integration of architectural elements in nature and was declared a cultural monument and world heritage site by UNESCO. Don't forget to visit the expiatory church of the Sagrada Familia, a masterpiece that Gaudí left unfinished and that are still built in the same way as the cathedrals in the middle ages, with donations and special contributions. Finally, we will visit st. Maria del Mar, the only large church Gothic Catalan perfectly finished. Accommodation in the hotel. Have breakfast and departure to the airport. After returning the car and check-in your flight, it would be the end of the trip and our services.